Cooking is fun and adding any of the types of food garnishes makes the food we cook more pretty. This being said, there are many people who are looking to get to know these types of food garnishes. You see, the food you cook can be awesomely delicious but sometimes you will need to add garnishes to them to make them look better. 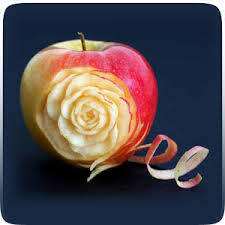 The most commonly used types of food garnishes are fruit decorations. As the name implies, these types of food garnishes pertain to the use of fruits to garnish and decorate the food that is being presented. Remember, too, that these fruit decorations can serve as additional taste to the food as well. Take lemon slices, for example. They are mostly added to fish dishes as they will add color to the dish as well as take out the fishy smell that comes with them. Herb garnishes are common types of food garnishes too. These are, well, herbs that are used to add aesthetics to the dish. Remember, however, that it is best that you use herbs that you have already added to the dish itself. They must always be fresh too. Make sure that you prepare the herb garnishes before you send out the dishes. You can sprinkle the herbs over or gather them and make them look like a bouquet. Play around with your herbs – for sure you will be able to come up with different kinds of looks for your dish. Vegetable garnishes are types of food garnishes that are often confused with herb garnishes. The main difference is that herbs are herbs, small parts of plants that are used in cooking. Vegetables, on the other hand, can be tomatoes, cucumbers, carrots, and the like. They can be cut and shaped into different looks. They can add an artistic vibe to your dish while complimenting the taste of it as well. Green garnishes are the green and often leafy types of food garnishes that you see in different dishes. Examples of greens that you can use as garnishes include kales, red chards, broccolis, and many others. Most often, these types of food garnishes are added to meat dishes that are roasted or grilled. They will add color and liveliness to the plate that will make you want to eat the dish more for sure. Flower garnishes pertain to the types of food garnishes that make good use of edible flowers. Yes, there are flowers that you can add on your dish and eat. Most of the time these flower garnishes are used in cakes. There are others that make use of them in salads and the like. There are people who grow flowers that they will use specifically as garnishes. This is why you will notice that there are now types of food garnishes that you don’t expect to see such as pansies, roses, nasturtiums. Just always remember that you must use only the ones that are meant to be used as garnishes as if not, you might end up making your guests and you not feel well.